It was just a month ago when DJ Fontana, drummer and friend of Elvis Presley, died June 13 at age 87. I’d met and interviewed him a few times, since he was a favorite celebrity guest at the festival dedicated to Presley held every October in Portage, Ind. He has his own place in the Rock and Roll Hall of Fame and his history with Elvis started when the two met during a broadcast of the “Louisiana Hayride” radio show. Fontana’s name, memories and music continue to live on, as does the legend of Elvis, with a detailed and fascinating two-hour musical stage journey dedicated to “The King” and spanning the years of 1954-57 when Elvis’ reign was just beginning. “Heartbreak Hotel,” now having its Chicago premiere at Broadway Playhouse at Water Tower Place, is billed as the prequel to the Broadway sensation “Million Dollar Quartet,” the stage musical based on the amazing date Dec. 4, 1956 for the true event when Presley was united with Carl Perkins, Johnny Cash, Jerry Lee Lewis and Carl Perkins at Sun Records in Memphis for one unforgettable jam session. 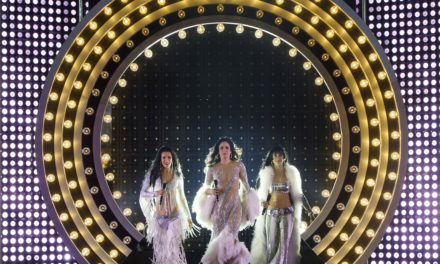 Broadway In Chicago teamed with the producers of “Heartbreak Hotel,” which had its world premiere at Ogunquit Playhouse in Maine in August 2017, and Authentic Brands Group (ABG), owner of Elvis Presley Enterprises, to present the Chicago premiere. Written and directed by Floyd Mutrux, the man behind the Tony Award winning “Million Dollar Quartet,” this fresh and entertaining stage tribute to a music icon, follows Elvis’ career climb from truck driver and aspiring singer/musician to finding his way to the doorstep of stardom and his destiny to become a household name and entertainment legend. Spanning just 18 months to skyrocket to fame, at his side are recording industry pioneer Sam Phillips, founder of Sun Records and Colonel Tom Parker, the man who guided both the King’s image and work decisions as well as the growing financial fortune. 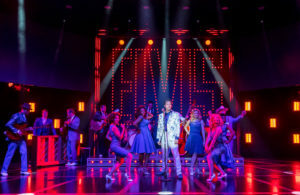 This brand new musical stars both the hit songs of Elvis, as well as the legends who influenced his iconic music, with highlighted chart-toppers like “Blue Suede Shoes,” “That’s All Right,” “Shake, Rattle and Roll,” “Can’t Help Falling in Love,” the title song, “Heartbreak Hotel” and other favorites. 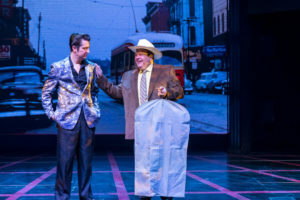 Eddie Clendening, who originated the role of Elvis last year at the Ogunquit Playhouse (becoming the greatest all-time selling show in the theater’s history), returns to play the King for the Chicago run. He also originated the role of Elvis for the Broadway run of “Million Dollar Quartet” where he performed eight shows a week for a total of more than 2,200 performances. He also played Elvis for the Chicago production of “Million Dollar Quartet” several years ago for the open run at Apollo Theatre. Not only does Clendening have the vocals to capture the Presley pipes, he is also a solid actor and his ability to deliver lines with expert timing capturing the King’s wit and reaction are right on mark. Wilson, BB King, Ike Turner, Little Richard, Buddy Holly and others. 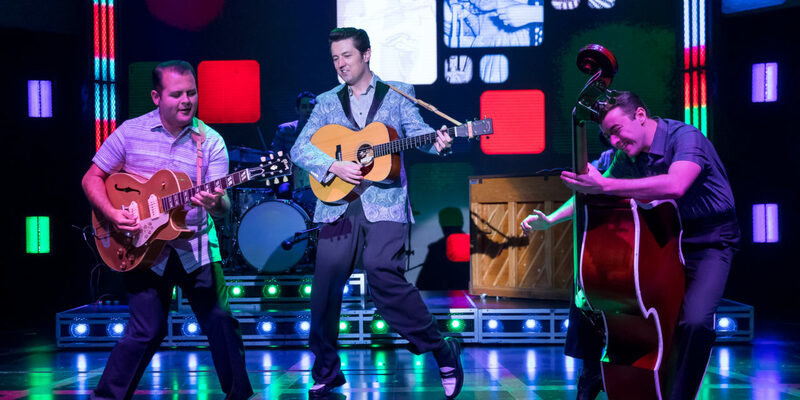 For musical numbers and limited dialogue scenes, the musicians who played with Elvis through the 1960s are Matt Codina as Scotty Moore, Zach Lentino as Bill Black and Jamie Pittle as drummer DJ Fontana, the trio comprising the band the King would outgrow. 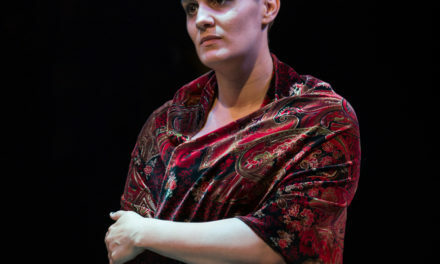 In addition to Elvis and his early musical influence to strip away race from association with music styles, “Heartbreak Hotel” devotes a considerable amount of time to one of Elvis’ earliest girlfriends, Dixie Locke, played wonderfully by Erin Burniston. The real Dixie Locke is still alive and well at age 80 and must be beaming that she has finally been given her due as the King’s first love, as detailed in their romance which began in 1954 when she was only 15. 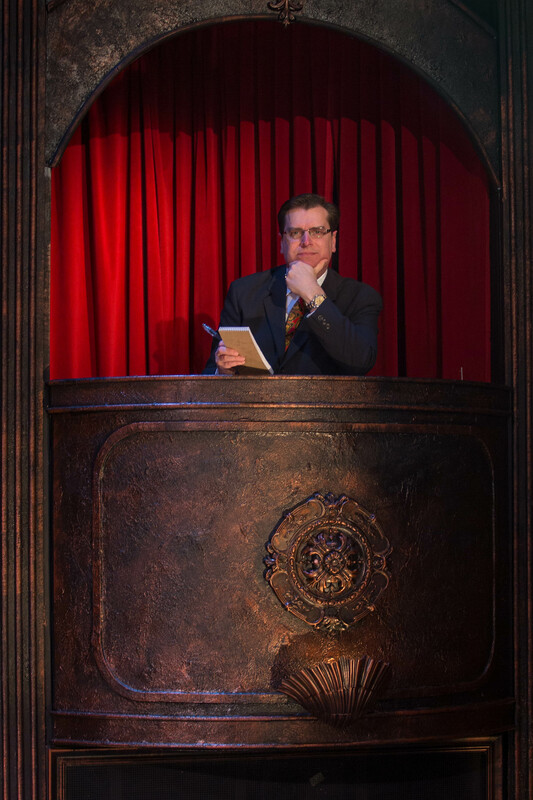 There are also many other entertaining and interesting references throughout which audiences will love, such as mentions of Liberace, James Dean, Steve Allen, Ed Sullivan and Katherine Hepburn. And of course, the hip-swiveling of Elvis “the Pelvis” gets a full treatment and explanation as folded into the breezy storyline. Alicia McCracken Morgan as Gladys Presley and ensemble and Chuckie Benson, Briana Bower, Tommy Malouf and Zach Sorrow as understudies/swings. 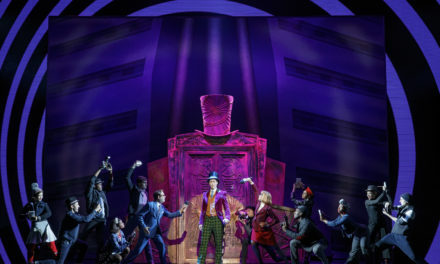 The show’s creative team features Birgitte Bjorum‘s choreography, Adam Koch for a creatively stark scenic design, period perfect and glittering costuming by Dustin Cross, Jason Lyons‘ lighting design, Drew Levy‘s sound design and Daniel Brodie‘s visually stunning projection design. 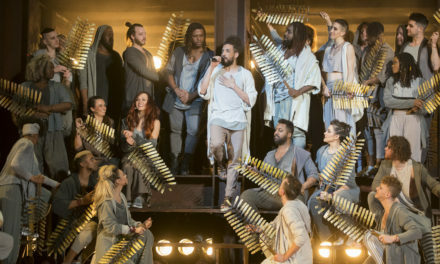 John R. Banister and Keith Harrison‘s orchestrations and arrangements are blended with the talented and gifted Tom Vendafreddo‘s music direction. For this open ended run Chicago premiere, long live The King!